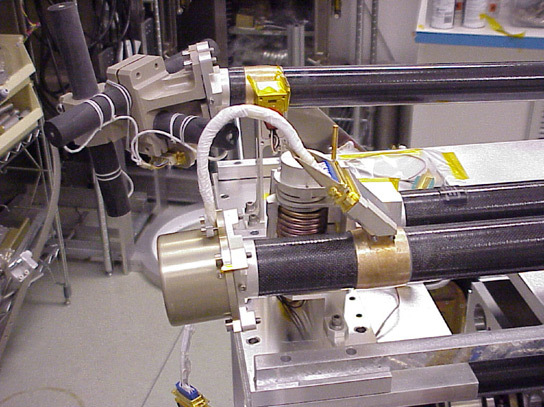 The THEMIS Flux Gate Magnetometer (FGM) measures the background magnetic field and its low frequency fluctuations (up to 64 Hz) in the near-Earth space. The FGM is specifically designed to study abrupt reconfigurations of the Earth's magnetosphere during the substorm onset phase. This requires an exceptional offset stability of 0.2 nT/hour. Due to its high sensitivity the FGM is capable to detect variations of the magnetic field with amplitudes of 0.01 nT. For attitude determination purposes the FGM must also operate close to the Earth at field levels of about 25000 nT. Thus the FGM needs to measure fields in a range extending over six orders of magnitude. The THEMIS FGM benefits from long-term experience in the design of ring cores and sensors. Tests and calibration have been performed in high-precision facilities developed for a number of previous missions. The FGM uses an updated technology developed in Germany that directly digitized the sensors' signals and replaces the analog hardware by software. Use of the digital fluxgate technology results in lower mass and improved robustness. All fluxgate magnetometers onboard the five THEMIS spacecraft well meet and even exceed the required conditions for teh stability and resolution. The stability was proven to be better than 0.5 nT during the first 18 months of operation.